A crowd that loves cycling gather for a 4-5 hour ride in Athens every Friday. It's called "Freeday" and it started as a facebook group for cycling enthusiasts. The ride is announced on facebook a day before, most probably late Thursday night and will give information only of where the ride will start, where the ride will head to and where it will finish. But the exact route is not revealed until the moment is realized. The night ride lasts around 4-5 hours and there is a different route every week. All kinds of ages attend this ride. 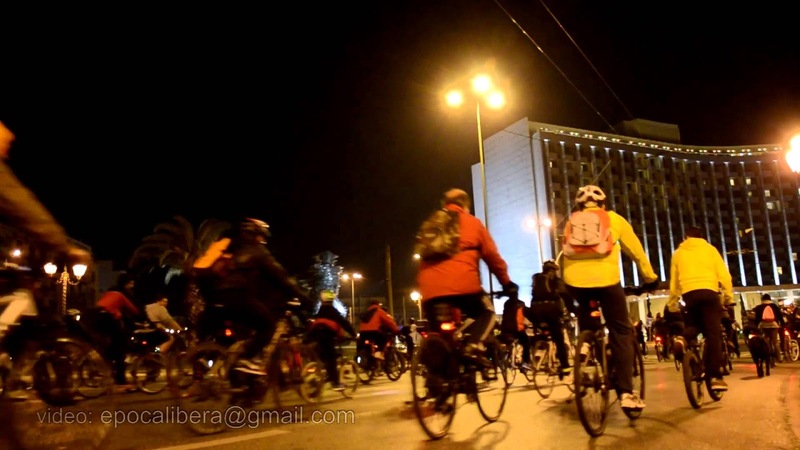 "Freeday" has evolved to a movement that want to reclaim part of Athens streets for cyclists. Footage was shot during the ride on Friday night, 17 January 2014. Athens, Greece.